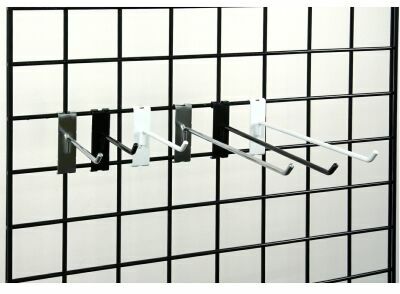 10"long Gridwall hooks are used for displaying, hanging every type of merchandise. ¼" thick. With 30 degree tip. 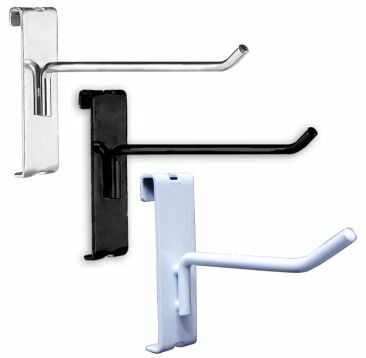 Price: $0.44ea Item #: GWH10 Colors: chrome, black, chrome. Standard Pack: 100pcs (any quantity can be ordered, $3 broken box fee will apply).